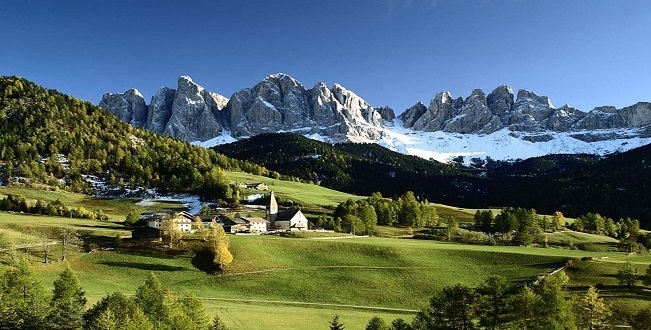 French newspaper "Le Monde" offers for its readers worldwide a report dedicated to the natural beauties of Albania titled: The charm of the Balkans in the Albanian Alps ( "Le Charme des Balkans dans les Alpes albanaises"). In the report talk about Albanians in the Alps that are part of the Dinaric Alps, the Kelmendi, images of Albanian bunkers, but also the dressing of citizens in this area. The famous French newspaper Le Monde dedicated an entire article to Albanian Alps and life in this beautiful part of Albania. It is a journey conducted by the blog La Balaguer in collaboration with the renowned French newspaper in the wild Albanian region of Albanian Alps, as writes Le Monde", reports news agency Our Presevo. Le Monde has visited Lepusha, the place of a hundred souls, as is called in the article this place. Welcome to the Alps! .. ( '' Bienvenue dans les Alpes! ''), words thesethat the author begins the first part of his report of twelve days of hiking in Northern Albania. At sixty kilometers from Shkodra (main town of the north of the country), the passage of the Hoti marks the official entry in the Albanian Alps.